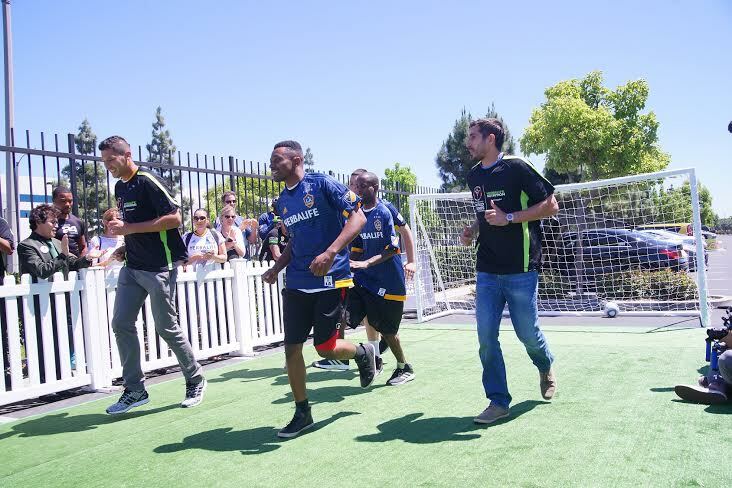 Special Day: Galaxy players Omar Gonzalez, left, and Jaime Penedo participated in a soccer game in Carson Tuesday with Special Olympics Southern California players ahead of the July event in Los Angeles (Photos courtesy Herbalife). The Special Olympics World Games will be the world’s largest sports and humanitarian event this year and the biggest single event Los Angeles has hosted since the 1984 Olympics when it is held July 25 through Aug. 2. The event will attract an estimated 7,000 athletes and 3,000 coaches representing 177 countries, along with 30,000 volunteers and 500,000 spectators. 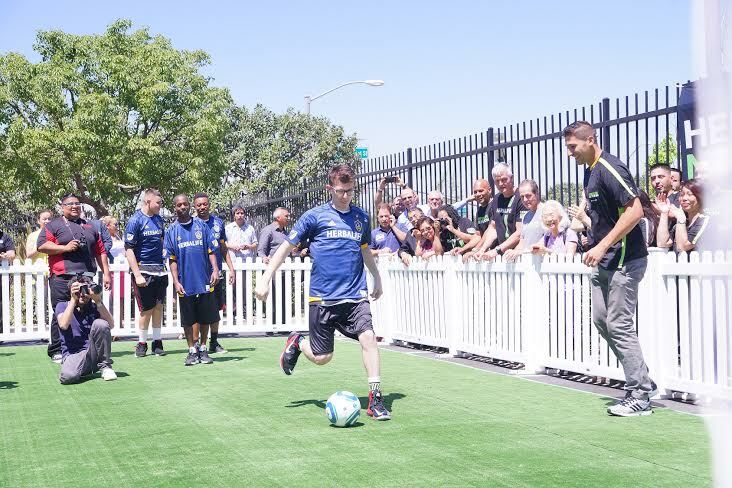 Galaxy sponsor Herbalife is donating more than 300,000 meal and protein snack bars to athletes and volunteers. More on the Special Olympics from Staff Writer Donna Littlejohn is here. This entry was posted in Business of Football, Galaxy by Nick Green. Bookmark the permalink.